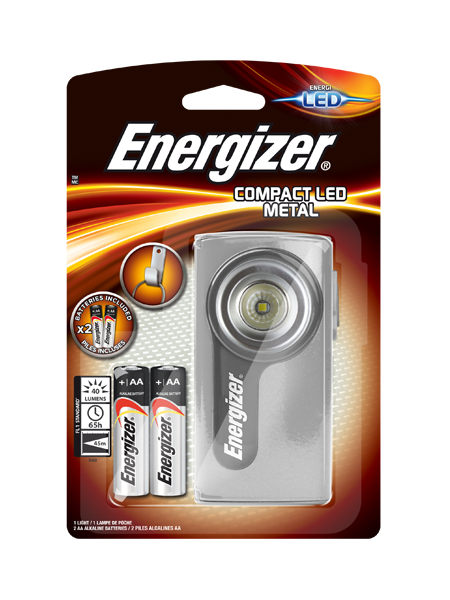 The Energizer® Compact Metal Light is a convenient, versatile solution that provides reliable illumination in virtually any situation. Featuring bright, long-lasting LED technology, users receive bright light that lasts hour after hour. With a convenient hanging hook and the ability to stand upright, this light provides for convenient, hands-free use. An impact-resistant metal construction makes it ideal for both indoor and outdoor tasks, all while powering with just two AA batteries.